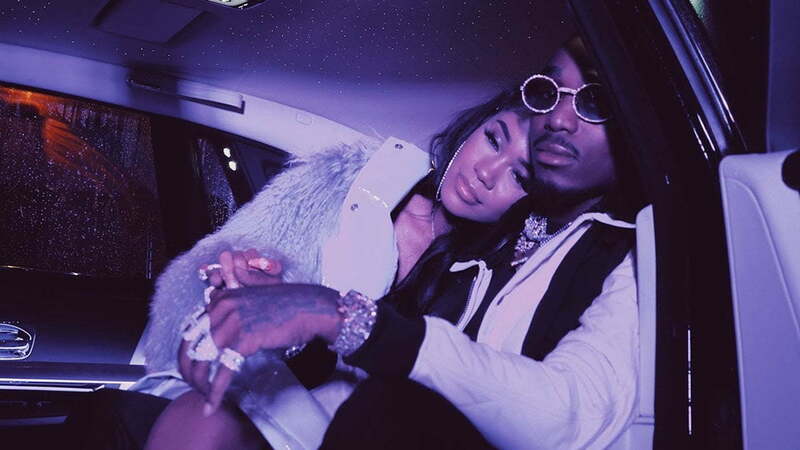 The R&B singer drops the visual for the collaborative efforts which saw she and the Migos rapper getting close. The track is featured on Saweetie’s new album, High Maintenance. The project saw Quavo appearing on two tracks, “Emotional” and “Tip Toes.” He is the only guest artist to land a spot on the album, but expect some big names on the production front including London On Da Track, Murda Beatz, and Hit-Boy. The real life couple put their love on full display in the three minutes long cut. Saweetie look smoking hot as she walks inside a club to meet up with her boyfriend. In other scenes you will see her getting down on the dance floor with her girls, and wearing lingerie while putting on a show for her man.